There is nothing like the intensity and gracefulness, gathered in this bouquet. 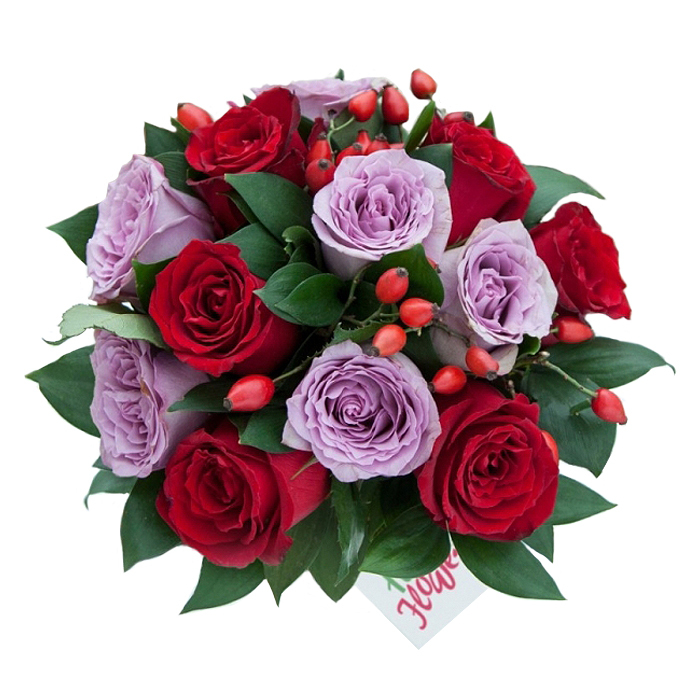 Velvet and purple shade roses make a great duo that is not to be left behind. I knew this was the florist for me when I saw their example bouquets online. And I have to say that the real thing is even more impressive than I could have hoped for. All my flowers will be coming from here from now on. It was very easy to order the flowers for my mom's birthday. She received them at work. Very good service. I tried ordering through the website but had some difficulties. Then I called them and was quite surprised of their warm and friendly attitude. The flowers were delivered safely. The roses were super fresh and beautiful! The bouquet I ordered for my wife over 10 days ago is still fresh and very beautiful. Amazing! A chic design and a stunning flower combination – the bouquet I ordered from this flower shop looked incredible. Thanks! Bought flowers online from Handy Flowers. 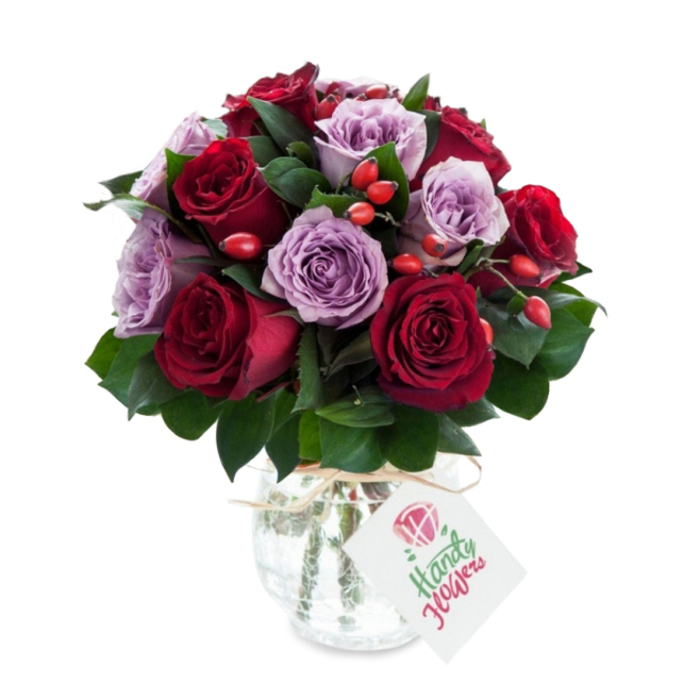 Best online flower shop ever – their flower bouquets are beautifully arranged and the colour combinations are just stunning! 5 stars! Can’t recommend Handy Flowers enough. Product was exactly as described on the website and arrived exactly when they were required. Needed a product that I could put on a grave and chose one that was recommended for outdoors. Have been delighted with how long they’ve lasted and how beautiful they look. A fitting remembrance for a dear friend. You have made my sister very happy with your beautiful flowers! She needed cheering up and they definitely put a smile on her face!